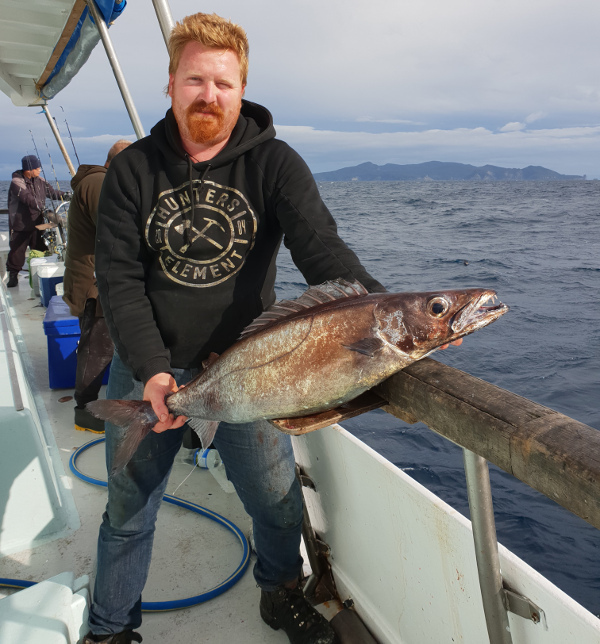 Our commercially ticketed Skippers are available to take you out fishing and boating in the beautiful Bay of Plenty. 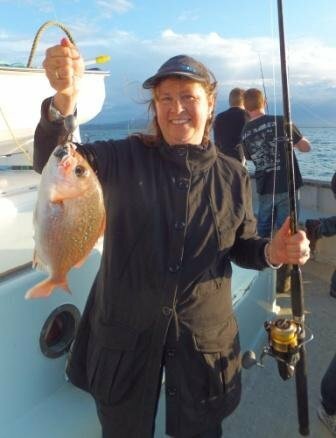 They are very experienced boat handlers, keen fishermen, and love being out on the water. Whether it is the fishing hot-spots you are targeting, a cruise around the harbour or the offshore islands, spectacular diving or just relaxing with friends on the water, these guys with their wealth of knowledge will ensure you have the best day possible. The person who will organise your trip is Raewyn, and after 30 years of putting together options and itineraries, she is bound to be able to find the ideal solution to your requirements, and manage the logistics for you. Give her a call and see what she can organise for you, or your group. Scott was brought up on boats. He is a hunter and gatherer making him an awesome and determined Skipper. This guy has a real passion for fishing and diving and knows the industry really well. People love going fishing with Scott, he takes his job seriously and gets the results! Tom grew up in Coramandel and started going out on boats at 12mths old as a bit of a family tradition. He progressed on to working on the Commercial Fishing Boats which lead him into the Charter/Tourism/Hospitality Industry. Tom’s worked on everything from long liners and Seine boats, historical and vintage launches and yachts, to jetboats and charter vessels. He has a great love of being on the water and going fishing. 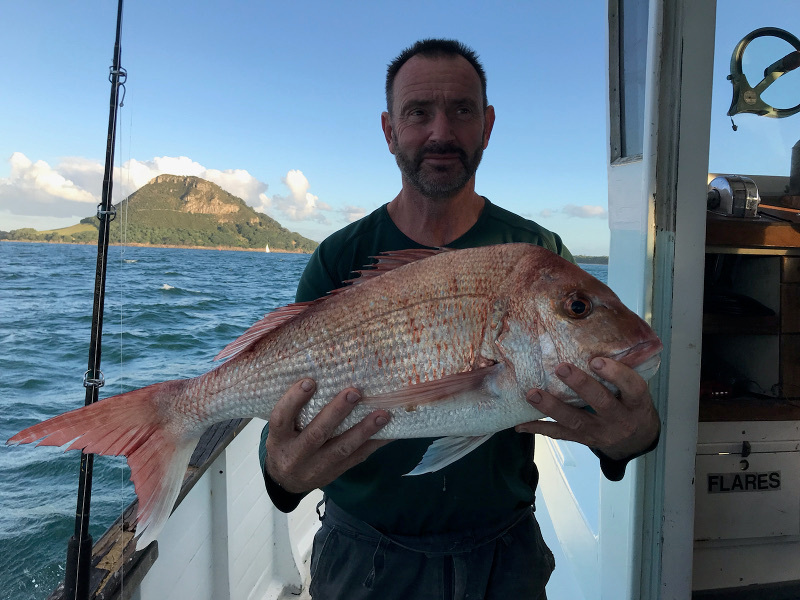 He also has a background in mechanical and conservation, fire and compliance fields, and been a Fishing Guide since the 90’s, and has held his Skippers Ticket for 24 years – and can think of nothing better he would rather be doing. My obsession with the ocean all started while watching Jacques Cousteau movies. I saw him sinking a ship planning for it to become a diving wreck. The underwater life that I saw on those movies drew me to the sea. With my first pay cheque I bought dive gear and one month later I paid for my dive course. 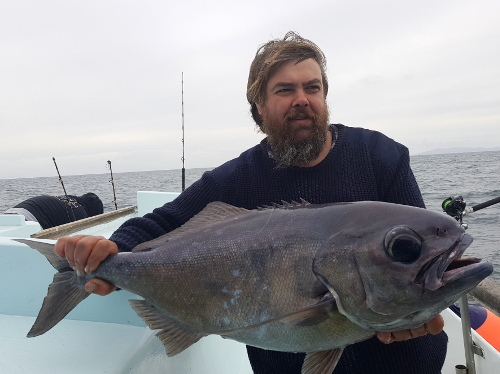 The rest they say is history…..I have been involved with the sea ever since, whether it be commercial or recreational diving or commercial or recreational fishing. I got my sea time through Commercial longline fishing for deep water species. We went out in all manner of seas and I gained experience ‘on the job’. I enjoy teaching and watching people catch fish, especially children. Being the Skipper of the Ratahi, with the heritage that is behind her, is such a privilege. She is a great fishing platform for private functions and public fishing days. When I am not talking about diving or fishing, it is hunting. Come fishing with me, I guarantee you a day to remember. What a great place to have an office!